Poodle mixes are some of the most popular mixed breed dogs of all. Learn about some of the most common mixes you're likely to encounter. Why Are There So Many Poodle Crossbreeds? Whenever there's a discussion about the top family dog breeds, Poodles always make the list. These canines are a perennial favorite with dog lovers, and it's no wonder. They are intelligent, cooperative and always ready to have some fun. They are also incredibly loyal and affectionate toward their families, and they tend to get along well with other breeds. These dogs also come in a wide variety of solid colors. Add to this the fact that Poodles are available in three sizes of Toy, Miniature and Standard, so there's a perfect companion for everyone. Another plus for this breed mix is the fact that most do not shed fur in the traditional sense, and many people consider all of these breed mixes to be hypoallergenic. Dog breeds are not truly hypoallergenic but because they hair rather than fur, they are more easily tolerated by people with allergies. However, their continuously growing coats are prone to matting, so it's important to keep them brushed and trimmed to look their best. This is actually another attractive feature for many dog owners who enjoy the Poodle's signature poofs and top knot, but there are numerous fashionable trims any dog groomer can provide. With so many positive traits going for them, it's no surprise that Poodles are used in a number of crossbreeds, aka "designer breeds." There are actually dozens of Poodle mixes, but here are a few of the best loved and best known. Some of these designer breeds are bound to be familiar to you by now, but there may be one or two on the list that you haven't heard of before. Be aware that since Poodles do come in three sizes, the size of the resulting mixes depends largely on the size of Poodle involved in the breeding. Also, note most mixed breeds do not achieve uniform size or appearance in a first generation cross, so litter mates can look quite different from one another. You can find Poodle mixes with just about every breed but here are some of the more common ones. Goldendoodle - These dogs are a mix of Golden Retriever and Poodle. They are easy to groom and do not shed much. They weigh around 50 to 90 pounds. Labradoodle - This mix is a combination of the Labrador Retriever and the Poodle. Labradoodles do not tend to shed that much. Depending on the Poodle type they are mixed with, they can be between 25 to 75 pounds. Schnoodle - Cross a Schnauzer with a Poodle and you have a Schnoodle. Both parent breeds come in three sizes, so you can choose a small (6 to 14 pounds), medium (14 to 20 pounds) or large Schnoodle (20 to 75 pounds). They do not tend to shed a lot but do tend to have a lot of skin problems. Maltipoo - These cute little dogs are a cross between the Toy Poodle and a Maltese. They are low shedders and range from t to 20 pounds. 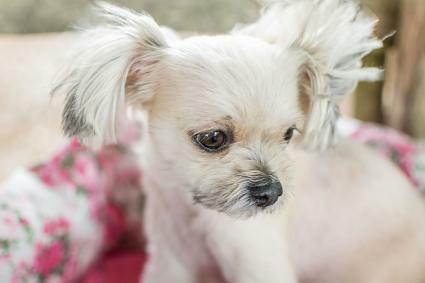 Pekapoo - Here, the Pekingese is crossed with a Toy Poodle. These dogs are also known as Peek-A-Poos and Peekapoos. They don't shed much but do need a good amount of grooming. Pomapoo - This mix is a combination of the Poodle and the Pomeranian. These dogs are 15 to 15 pounds and are generally low to medium-low shedders. Shihpoo - Mix a Poodle and a Shih Tzu, and you have the Shihpoo. They can range from 7 to 20 pounds and are minimal shedders. Westiepoo - This dog is a mix of the West Highland White Terrier and the Poodle. Westipoos are 20 to 30 pounds full grown and require a good amount of brushing although they are not high shedders. Yorkiepoo - The Yorkiepoo is a mix of the Yorkshire Terrier and the Toy Poodle. They are about three to four pounds when they reach full size. They do not shed much but do require regular grooming. Whoodle - A cross between a Wheaten Terrier and a Standard Poodle. Whoodles are between 20 and 45 pounds and are not heavy shedders with an average to high level of grooming required. Aussie Doodle - This is a mix of an Australian Shepherd and a Standard or Miniature Poodle. They are about 25 to 70 pounds and require more than average grooming. Saint Berdoodle - A cross between a Saint Bernard and a Standard Poodle. They reach about 110 to 200 pounds and are not high shedders. Bordoodle - Bordoodles come from breeding a Border Collie to a Poodle. They are known by several names including Borpoo, Borderdoodle, Borderpoo, and Border Poodle. They are 30 to 60 pounds and do not need a lot of grooming and shed little. Boxerdoodle - Boxers and all types of Poodles combined make up the Boxerdoodle. They can weigh from 12 to 70 pounds and shed very little. 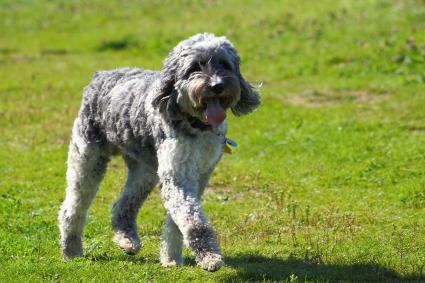 Sheepadoodle - Sheepadoodles are mixes of Standard Poodles and Old English Sheepdogs. They are known as a Sheep-A-Poo, Sheepapoo, Sheeppoo, Sheepdogdoodle, and the Sheepdo. They are about 60 to 80 pounds and tend to need more grooming than most doodles. Irish Doodle - Irish Doodles come from Irish Setters and Poodles. Their other name are Irish Poo Setter, Irish Doodle Setter, Irish Setterdoodle, and Irish Setterpoo. They weigh between 40 and 70 pounds and are not heavy shedders. Bassetdoodle - This is the strange-looking pairing of a Basset Hound and Poodle. They weigh about 20 to 30 pounds and tend to shed a lot. Bernadoodle - The Bernadoodle is a cross breed of a Bernese Mountain Dog and a Miniature or Standard Poodle. They're also known as Bernese Mountain Poos. They can weigh between 10 and 90 pounds. They are generally low shedders. What Are the Best Poodle Mixes? What Poodle mix you choose largely depends on what you're looking for in a dog. Poodle mixes that do well with children are Cockapoos, Maltipoos, Schnoodles, Boxerdoodles, Labradoodles, Goldendoodles. Saint Berdoodles are also good with children but best with older ones because of their size. If you're looking for an active dog to go running with or dog sports, some good choices are Aussie Doodles, Bordoodles, Goldendoodles, Labradoodles, Schnoodles, and Woodles. Poodles make great therapy dogs, and their mixes do as well. 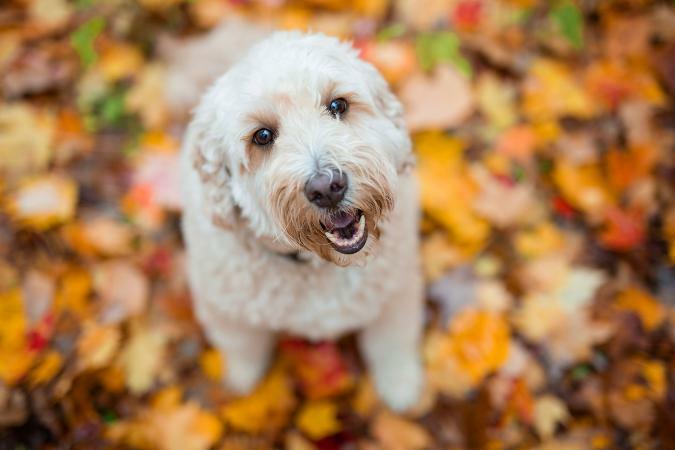 Goldendoodles, Labradoodles, and Cockapoos are known for being excellent therapy dog choices. If you like toy dogs, the most popular toy poodle mixes are Cockapoos, Maltipoos, Peekapoos, Pomapoos, Schnoodles, Yorkipoos, Shipoos, and Chipoos. Should You Choose a Poodle Crossbreed? Some people prefer purebred dogs to mixed breeds while other people feel that crossbreeding helps decrease the risk of producing offspring with hereditary illnesses and conditions for which particular breeds are known. When all is said and done, a dog is simply a dog, and every dog deserves a loving home with caregivers who can provide for that dog's needs. If one of these Poodle mixes appeals to you and you can provide that loving home, by all means, bring that dog into your life.